Karrie and her team with Crush Realty is the real deal. They are professional, easy to deal with, knowledgeable and generally fantastic at their job. There were a number of roadblocks to this deal that were 100% of out there control and completely nothing to do with them but still they help me through each thing one at a time. I would not hesitate to use them again and would highly recommend them to anyone selling or buying! 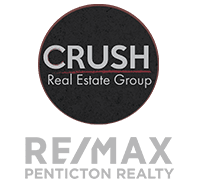 I dealt with Karrie and Paul for the sale of my home in Penticton. Both were professional, passionate, knowledgeable and kind. With confidence I recommend Crush Real Estate Group. First time we bought property and Karrie made our experience go smoothly with great deal of real estate knowledge and professionalism. Buying raw land can be stressful but Karrie helped guide us through it all which made it exciting. Karrie Grewal is superb at her job as a real estate agent — she’s smart, incisive and doesn’t waste anybody’s time with irrelevancies. In addition, we found that being in her company was always thoroughly enjoyable. We would recommend her unreservedly to anyone seeking to buy or sell real estate in the area. If we’re ever in that position again, we will definitely go with Karrie. We wouldn’t even consider anybody else. I’d recommend Karrie as a realtor. Very pleasant and knowledgable. Helped with lawyers and a property management company. We found her very easy to talk to and her knowledge of the Penticton market is second to none. Very good at her job and a very nice person both inside and out. Remax is lucky to have her. Made our buying and selling experience with us seamless. Tell people what you think about CRUSH!